WHATEVER YOU NEED, YOU'LL FIND IN THE COLLECTOR! 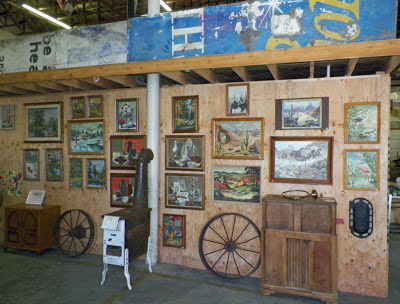 I've missed the year round antiques and collectible flea markets that we used to frequent when we had our antiques shop. In the 1980's & 90's, the "swap meet" at the redwood drive-in was almost like a hundred mini tag sales, and always a good place to unearth a few treasures to put on our shelves Monday morning. 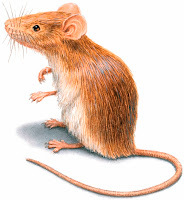 But these days it has evolved into more of an ethnic market than a swap meet. The indoor/outdoor weekend market at the Salt Lake Fairgrounds went through several incarnations, never becoming much more than a second-hand sale, and mercifully closed a short time ago. So the Salt Lake Valley has been pretty much devoid of anyplace to do a little weekend junking. But things are looking up, and it looks like we've got a new place to go to church on Sunday mornings. 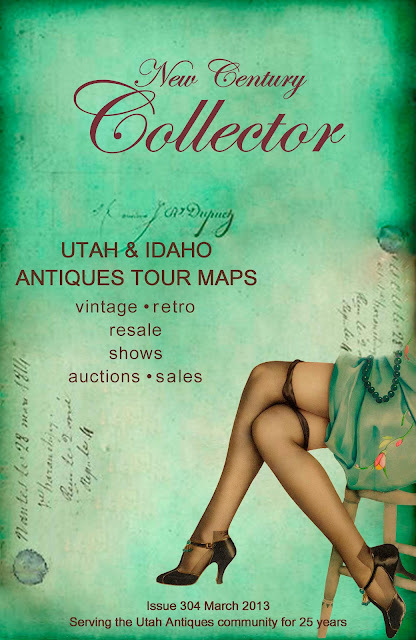 This past weekend, Wanship antique dealers Will Dator & Emy Maloutas opened The Salt Lake Vintage Flea Market & Auction. 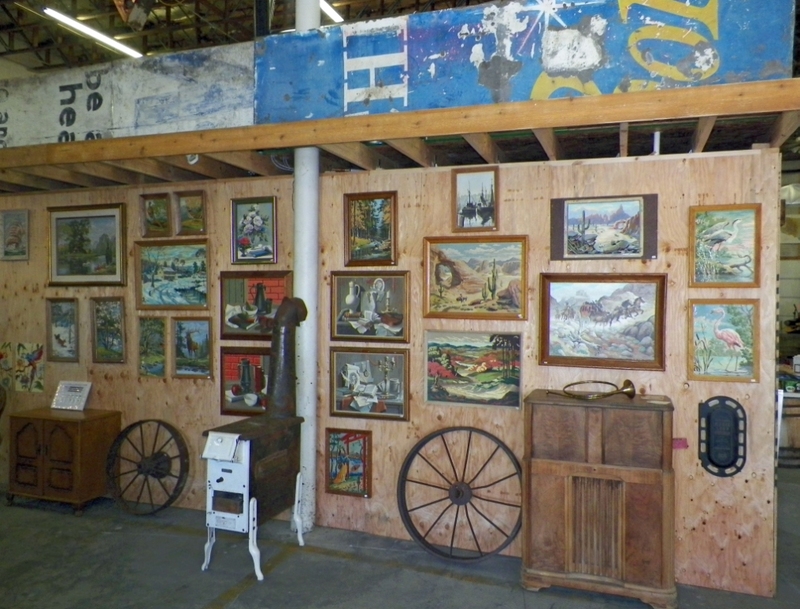 A large, indoor, year round flea market, with permanent collectibles booths and lots of space for drop-in dealers to set up. IS LOCATED AT 550 W. 1300 SO. Lyn & I dropped by Sunday, to give the place the once over, and we know where were we'll be spending our free time on the weekends from now on. From the hotdog stand out front, to the live music in the back, the flea market offers a great place to shop for antiques & vintage merchandise. You can walk in for a buck, and the place is full of antiques, collectibles, art, vintage & retro goodies. While Lyn looked around, I headed straight to the Vinyl section, and picked up a couple of new vintage rock & roll albums. There seemed to be a little something for everybody. UTAH ANTIQUES OR VINTAGE SHOP!